Every year, one million tourists arrive in Boracay to get away from reality… but what is the reality for those who live there and cannot escape it? 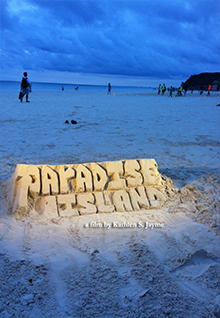 Documentary filmmaker Kat Jayme travels to Boracay, the crown jewel of the Philippines and her family’s favourite vacation spot — but this time she is not on holiday. With the help of the local children of the island, who make sandcastles for money, she discovers what life is really like on Paradise Island.